Radio Borders delivers the perfect mix of music combined with witty, warm-hearted locally relevant banter as well as life’s essential news and market specific traffic updates and weather. Radio Borders delivers the perfect mix of music combined with witty, warm-hearted locally relevant banter as well as life’s essential news and market specific traffic updates and weather. The music we play is vast, a combination of the most popular music for 25-44 year olds that reflects the lives of our listeners, communities and places wherever they live. We play the biggest songs of the moment, as well as rediscovering the hits from less complicated times — the 80s, the 90s and the noughties. 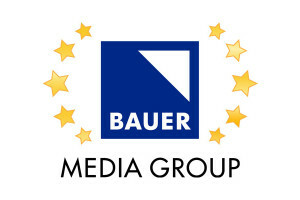 The sound and space we create is totally unique to Bauer City 1. Hear us on FM, App, Online in the Scottish Borders and North Northumberland. Tweedside Park, Galashiels, TD1 3TD.